When it comes to the web browsing, every second matter. Impact of the site speed is so big that 40% of visitors tend to abandon a website that takes more than 3 seconds to load. Fast loading pages can increase page views, boost SEO ranking through improving the user experience. Talking about WordPress, this great platform offers a plethora of benefits to the users. But, if you don’t take the right steps, you may end up with a sluggish website. 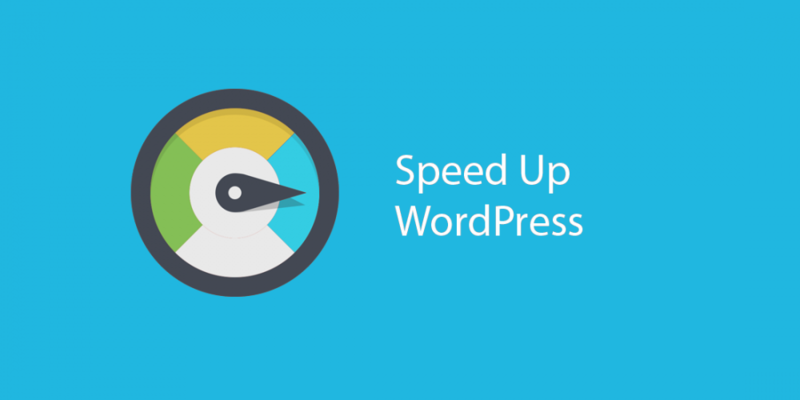 This article will help to Speeding Up Your WordPress Website. We have gathered 10 most useful optimization tricks and methods for speeding up WordPress website. Check them all below. Well, the starting point is- You need to measure your website’s initial speed before exercising any optimization tips. 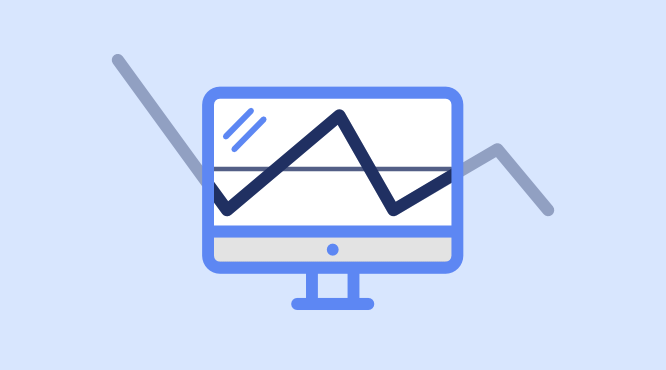 Understanding the causes that slow down your website can assist you not only select the proper method but also make smarter decisions for the future. 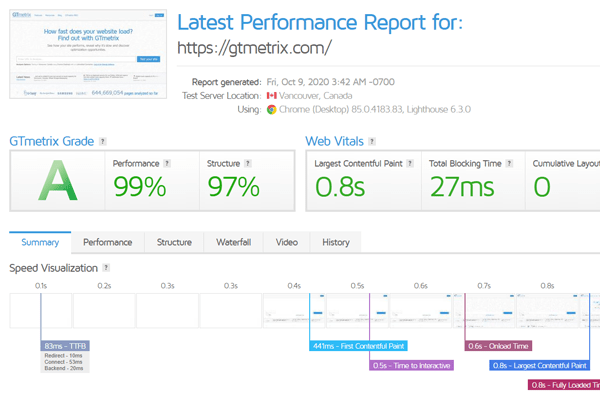 GTmetrix- It gives you both- PageSpeed and YSlow score for a better understanding of the issues. You can get information about Page Loading Time (PLT), page size, etc. along with improvement suggestions. Pingdom Website Speed Test-This wonderful tool enables you to test your website speed from different geographical locations. It evaluates all the parts of your web page and gives you a complete performance outline. KeyCDN Speed Test- Well, KeyCDN not just offers excellent CDN (Content Development Network) service. It also provides free Site Speed and Performance Testing tools. Now that you know the reasons for a high PLT, you can start from scratch. One of the most obvious causes that slow down your site is poor hosting service. You need a reliable hosting service provider especially when you have an eCommerce website or your website has a plethora of interactive content like videos or infographics. It is advisable to select quality managed WordPress hosting instead of any free or shared hosting services. Take an example of WP Engine. It is way secure, fast, easy to install, simple, and scalable. What’s more, it allows you to make major changes to your website without any difficulties. It is the most popular managed WordPress hosting to date. If you are a new blogger, you can also opt for Bluehost that offers a plethora of great perks. Cloudways is also a good cloud hosting option for shared hosting. A few factors to consider for choosing a right hosting provider include price, free domain name, and SSL support along with FTP or SFTP access. One of the best things about WordPress is- it has a huge treasure of free and paid WordPress themes. However, a lot of visually stunning themes are laggards in performance due to poor coding. Some themes have a dense coding that slows your website down. You need to remain careful in picking up the right theme as even a simple theme could also slow down your website. You can select the theme with a higher speed test scores. You can run the demo website through a speed checker with your selected theme. If it takes less than three seconds to load, you can go ahead with your theme! Another trick is to check the total file size of the theme which should be less than 2 MB ideally, and the number of HTTP requests the demo site makes. Lastly, you can always rely on Twenty Seventeen, the default WordPress theme. It has set performance standards over the years with the right blend of coding and features. It is always a good choice, to begin with WordPress. It manages the page speed even after adding plugins in a moderate number. One of the key aspects that separate WordPress from other platforms is a wide array of plugins. However, it does not mean that you must install all the plugins on your website. In fact, plugins are heavy, and if you have a lot of them running simultaneously, it will take more time to load. The result? Well, you may end up with a slow to load the website. You should keep plugins that you require the most. Also, consider removal of the plugins that are big, with the same functionalities, or using a lot of resources. And, one more thing- Don’t forget to keep all your plugins updated. Mr. WordPress regularly comes up with updates, just follow him! You may raise the question: How to find a right plugin? To answer your question, you can simply take three steps: One, test your website’s speed before and after installing any plugin. Two, you can use Query Monitor, a free plugin performance profiler. And three, you can opt for plugins with multiple functionalities. You can consider Jetpack as an all-in-one plugin. WordPress runs a process to find the necessary information, put it all together, and display it to your visitor. The platform uses this process in multiple places and it involves a lot of steps. It can slow down your website when multiple people visit your site at once. Caching eliminates the whole page generation process every time and makes your site 2 to 5 times faster. Your caching plugin makes a copy of the page after the first loading, and every subsequent user sees that cached version. W3 Total Cache or WP Super Cache is a useful caching plugin. However, a managed WordPress hosting provider takes care of caching, and you do not need to install a caching plugin on your website. Remember we mentioned above the Pingdom Website Speed Test. The test enables you to get your website’s speed from various geographical locations. The location of web hosting servers impacts on speed of your website. For example, if your web hosting company has its servers in the US, an American visitor will experience faster loading time as compared to an Australian visitor. Besides, CDN minimizes the latency by reducing the distance between the endpoint machine and the server. The reduction in latency also contributes to speeding up WordPress website. A KeyCDN survey revealed that a website that uses a CDN can instantly experience 73% decrease in latency. CloudFlare, Photon, etc. are a few of the best available CDN providers. If you are a newbie to the web world, it is enough to know that WordPress relies on PHP, a scripting language for creating dynamic websites. Your website has a PHP code, and therefore, the PHP version has a great impact on the performance of your website. For example, if your website runs on the previous PHP version, you may witness a few performance issues. It is better to upgrade to PHP 7, and for that matter, every time when PHP comes with the new version, for speeding up WordPress website. A survey conducted on PHP 7 and its predecessor showed that PHP 7 is almost 2 times faster as compared to its previous version. But, here you need to remain alert. You should check with your hosting provider for an upgraded server before changing your website’s PHP version. Also, you need to test your website from theme and plugins viewpoints after upgrading. This is because it is possible that the newer PHP version may not support some older functionalities. Images play a vital role in bringing life to your content and enhancing user engagement. Agreed. But, do you know that non-optimized images can hurt the speed of your website badly? Such images are among the most obvious speed issues especially on the websites of beginners. The reason? Well, one of the reasons is to upload a photo directly from your phone or camera. Originally, these photos have large file sizes. Photo editing software remains handy to optimize images for the web. You can decrease the size of your image files by up to 5 times with such software. Image file format and compression are the features that assist you to reduce the image size. You can either compress the image or save it as a progressive JPEG while uploading an image. Here are a few other ways of image optimization to speeding up WordPress website. You can resize and crop images before uploading. Even a basic photo editing software can serve your purpose. You can shrink uploaded images by using image optimization plugins like WP Smush or Ewww Image Optimizer. WordPress has all the features necessary for bloggers. Autosave feature is one such feature. It saves a post every 60 seconds as a special revision. Newly saved revisions will then replace the older ones. Every time when you click on save, update, or publish button, the post editor stores a new revision in the database. Now the problem starts as such post revisions also take up space. Or, you can always use a plugin to make things easier! WP-Optimize is a popular plugin for this purpose. Also, there is a need to optimize your WordPress database. This is because once you use your website for a while, your database will have a lot of unnecessary information. It is in the form of unused, duplicated, and orphaned data. Removal of this data can reduce the size of the database and improve the overall performance of your website. Both pingbacks and trackbacks are default features of WordPress and they can serve a genuine purpose. But, the other side of the coin is- they can cause problems like misleading your readers and adding irrelevant links to your blog posts either deceptively or maliciously. It may affect your website’s ranking negatively as well. Every time, when another blog or site mentions your website, WordPress notifies you through an email. Upon your approval, it updates the data in your post. Here, there remains a possibility of the addition of irrelevant links to your website. Such links can create confusion among your visitors and eventually, the performance of your website gets affected. Thankfully, you can disable notifications on both pingbacks and trackbacks on your WordPress site. All you need to go to Settings > Discussion and uncheck the ‘Allow link notifications from other blogs (pingbacks and trackbacks)’. Don’t worry, disabling pingbacks and trackbacks will not destroy the backlinks to your website! That’s it for now! Hope this article would help you learn performance boosting tips to speeding up WordPress website. So, go ahead and utilize this step-by-step guide to make your website speed-optimized.